LED drivers convert a range of high-voltage AC inputs, and produce either constant-voltage or constant-current for an LED or an array of LEDs in a single device. LED drivers are relatively straightforward to evaluate because the performance, reliability, and conditions of use are consolidated. However, options may be limited, rated power may be constrained, and the physical size of the device may affect LED luminaire design. LED drivers, systems of power supplies and LED control circuitry, and AC LEDs. The term “AC LED” typically refers to a package-level device into which integrates power conversion into the package, thus requiring few additional components. The specific design varies by manufacturer. The LED driver consists of a power source and LED control circuitry designed to operate an LED package (component), or an LED array (module) or lamp. The specific choice of design topology affects the number and type of components, as well as the degree to which they are stressed. Many reliability issues come down to component stresses as determined by the method of converter operation—hard-switched mode, quasi-resonant or fully resonant, etc. In general, product lifetime decreases as temperature increases. Product temperature is a function of power dissipation, thermal resistance, and ambient temperature. Power dissipation is directly related to the efficiency of the driver. Higher efficiency and low product thermal resistance can reduce the product operating temperature and improve the lifetime significantly. To assist in luminaire design, the driver product qualification should demonstrate the product’s robustness to temperature, humidity, temperature cycle, shock, and vibration stress. A test report should include changes in efficiency and output current over time along with details on test conditions, sample size, and confidence interval. as discussed in the next section. The electrolytic capacitor is probably the shortest-lived component for most LED drivers. The typical life of an electrolytic capacitor is cut to half for every 10°C temperature rise. Depending on the application and working environment, a long-life and high-quality electrolytic capacitor should be selected to meet reliability, cost, and performance requirements. Other components also need proper derating with respect to both biasing and temperature to ensure reliable driver performance. Component and assembly-related defects are hard to avoid on volume production, but their impact may be reduced by using a burn-in process to identify and eliminate the early failures. The details and stresses (e.g., high temperature, temperature or power cycling, or vibration) depend on the design and degradation mechanisms. Ongoing reliability testing should be done at the pre-determined intervals to detect the process and design margin drift, and to uncover the problems with components or workmanship. With the right topology, thermal design, component selection, and derating, along with product burn-in, the LED driver can avoid becoming the “weakest link” of the lighting system, although for cost-effectiveness it may be intentionally designed either to define an appropriate overall system life or to be replaceable, as discussed above. As one might surmise, the exact test protocol for a driver is design dependent and can be extensive. The specific choice is beyond the scope of this guide, but these comments should guide lighting manufacturers in directions that should be considered to achieve an overall reliable end product. 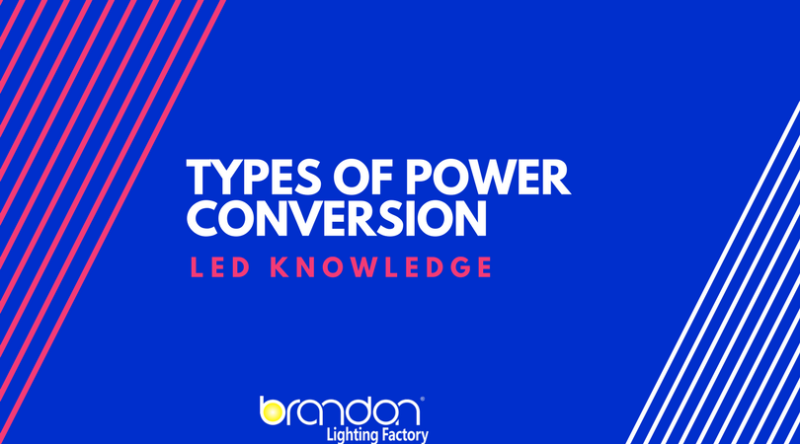 Depending on the type of power conversion utilized for the LED system, there are several areas of regulatory compliance that may be applicable. Because of the variety of system configurations, often the combination of a variety of component types, it is likely that the overall compliance requirements will need to be separately addressed for each individual component. 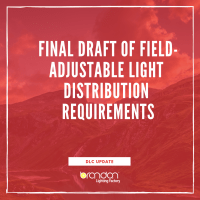 Exactly what is required of each subsystem or component is defined by the luminaire system designer, and it is important that these requirements are accurately communicated to their respective suppliers so that proper regulatory compliance is assured. A number of standard requirements apply to driver use: first and foremost, the system needs to be evaluated against Risk of Fire and Risk of Shock (i.e., Safety Compliance). In the U.S., UL 8750, the Standard for Safety of Light Emitting Diode (LED) Equipment for Use in Lighting Products, was created in 2009. For Europe and Asia, the applicable standards for LED power conversion devices are found in various sections of IEC 61347. Systems typically require evaluation to ensure compliance with electromagnetic compatibility (EMC) industry standards. Depending on the anticipated useful life, criticality of use, and replacement cost of the system, additional protection of sensitive components may be warranted and must be evaluated. For the most part, these requirements are not unique to LED systems, although they may be meaningful differentiators when comparing LED system components. 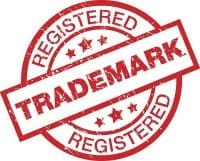 Examples might be protection for network communications built into the lighting systems, reduced power for operation during periods of high temperatures, and so forth.